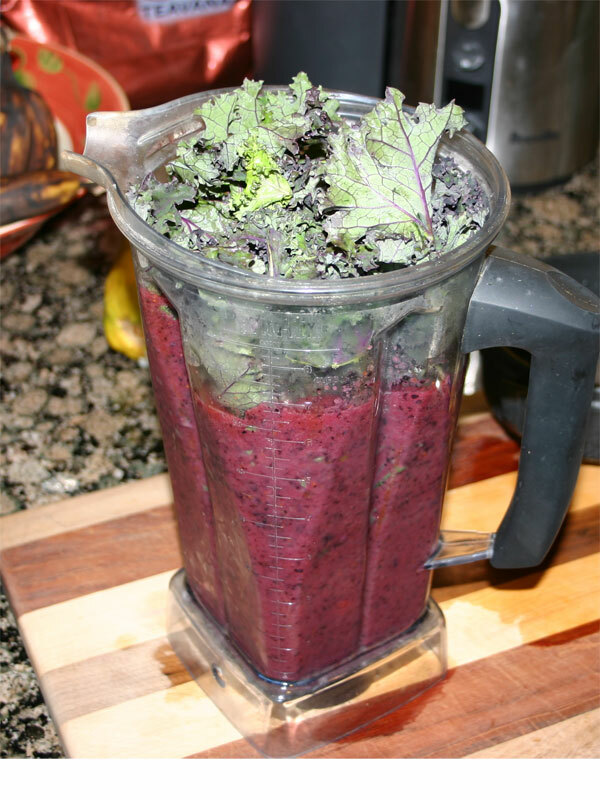 If you’re looking for something super palatable, this is your smoothie. Peaches, coconut milk and baby spinach make for a dynamite combination. 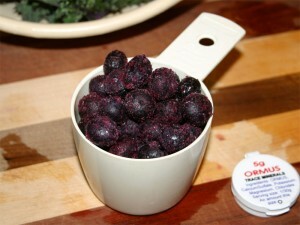 All the flavors are simple and smooth, so there is nothing that stands out as odd. 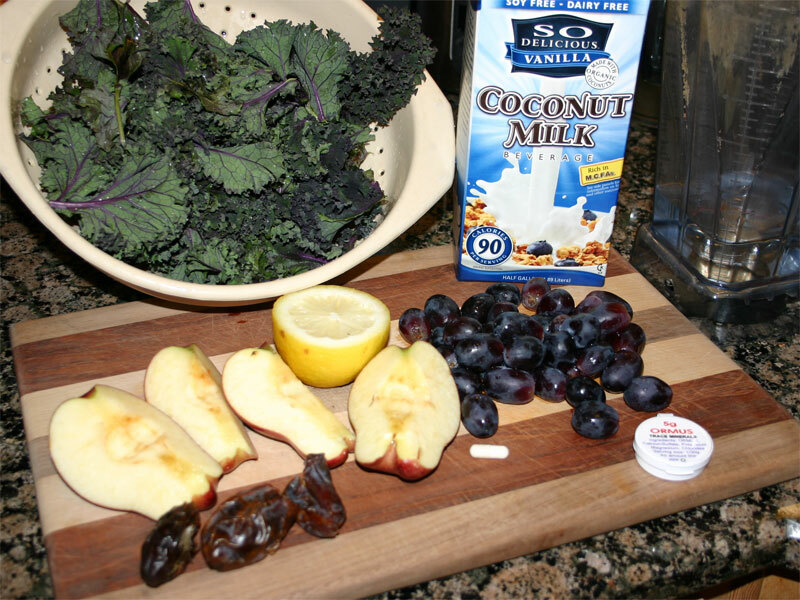 If you’re tired of all those super smoothies with the strong flavors that you have to mask, this is worth a try. You’ll most likely also notice that I’ve added a couple ingredients that are outside the norm; ground flax seed and ORMUS. 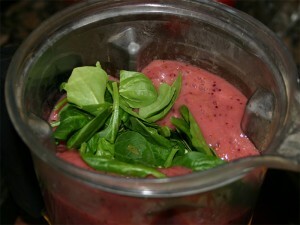 The ground flax seed gives the smoothie a ‘breakfast’ feel – a taste of grain, but not too much. If you let the smoothie sit, you might want to pass on the flax seed for it will thicken up like pudding! ORMUS, on the other hand, adds a bit of saltiness that really makes the flavors pop! 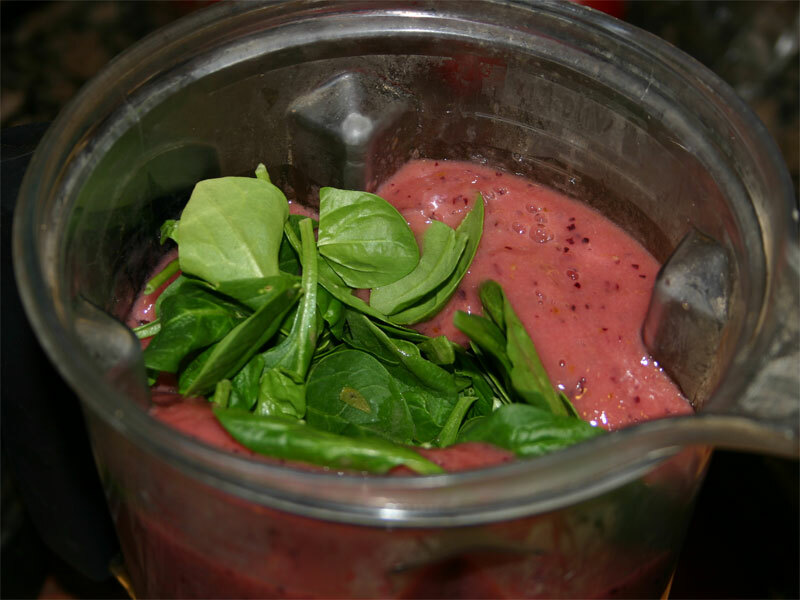 Also doesn’t hurt to add angstrom size particles into the diet. 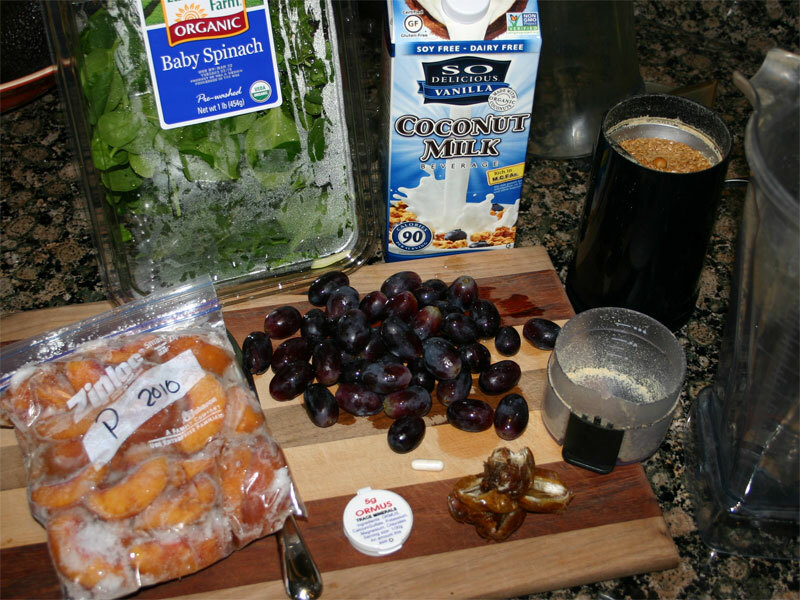 Add liquid first, followed by grapes, dates and frozen spinach. Blend to get the initial grind down. 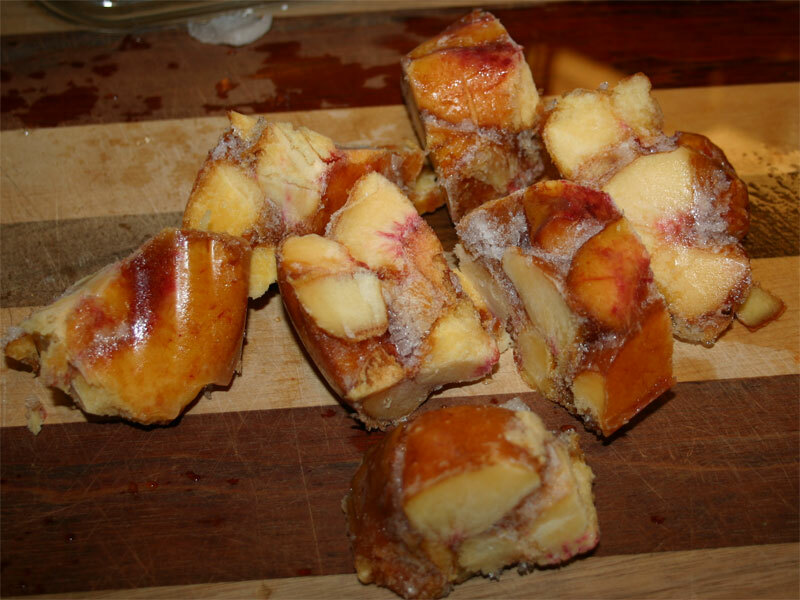 One thing that will help is if you split the frozen peaches into ice cube size pieces. If they are much larger, you’ve really got to work the mixture in order to keep it from jamming up. Even in my case with my Vita-mix, I’d have to plunger it if the pieces are too big. When it’s broken down a bit, add the spinach. I’ve been tempted to stop at this point in order to enjoy the peach sorbet! It’s just as amazing without the greens as it is with them! 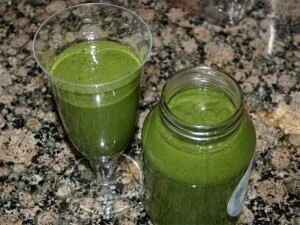 Notice that after stuffing in ½ pound spinach it’s ready to blend and plunge. Close everything back up and mix on high under creamy. Meanwhile, get out the coffee grinder and place the flax seed in it for grinding. Grind until it starts to stand, but not before it starts to heat up and melt. You want to keep the olds cool. 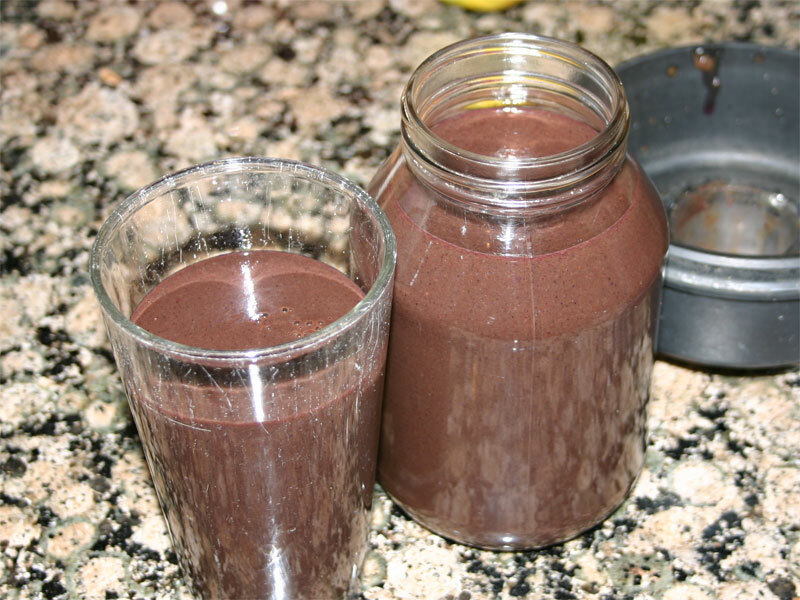 Finally, turn the blender off and add the ground flax seed, probiotic and ORUMS. 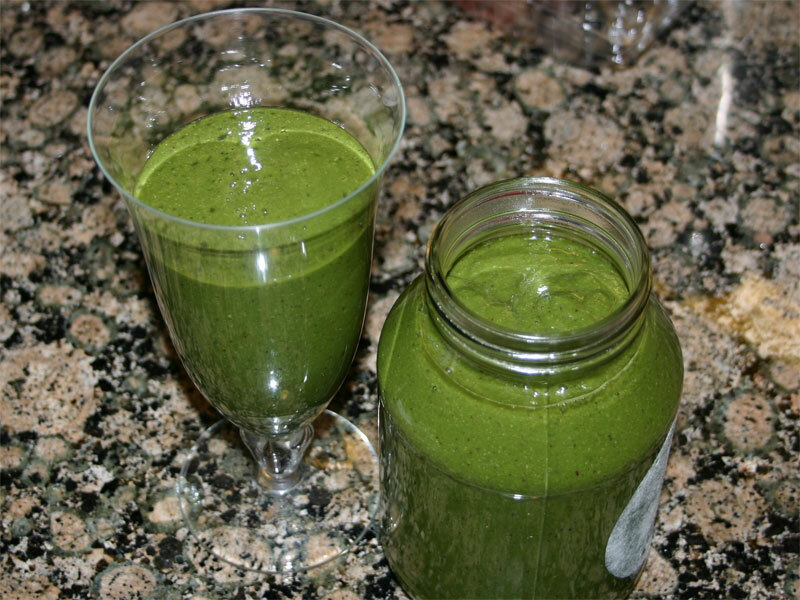 You want to turn the blender on to mix in the dry ingredients, but not too long for you don’t want to break down the probiotic critters. In the end, you’ve got breakfast and sometimes lunch. It just depends on how hungry you think you are in one sitting. With this smoothie, I really don’t mind having it for both breakfast and lunch. Thus making a little extra foots the bill for me. I’m so glad I put up peaches last summer! I’ve been craving early summer fruit, but nothings out yet. I think this one will tide me over.